From the New York Times bestselling author of the acclaimed Immortal Guardians series comes an enchanting new series full of romance, danger, and loyalty: The Gifted Ones Since the day Lord Dillon earned his spurs, rumors of his savagery on the battlefield have preceded him into every room, stilling tongues and sparking fear. Weary of battle, he wishes only to find a woman he can wed who will approach him not with fear, but with the tenderness that has been absent from his life for so long. Yet only the wisewoman seems invariably at ease in his presence. Perhaps because she garners the same fear in others that he does himself. 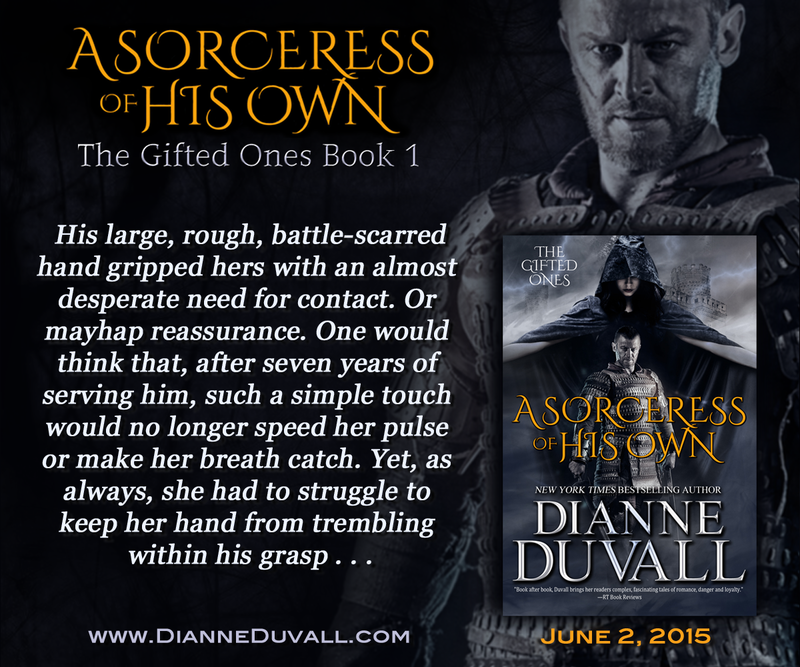 For seven years, Alyssa has been by Lord Dillon's side, counseling him from the shadows, healing him with her hands, and staving off the worst of his loneliness while his fearsome reputation keeps others at bay. 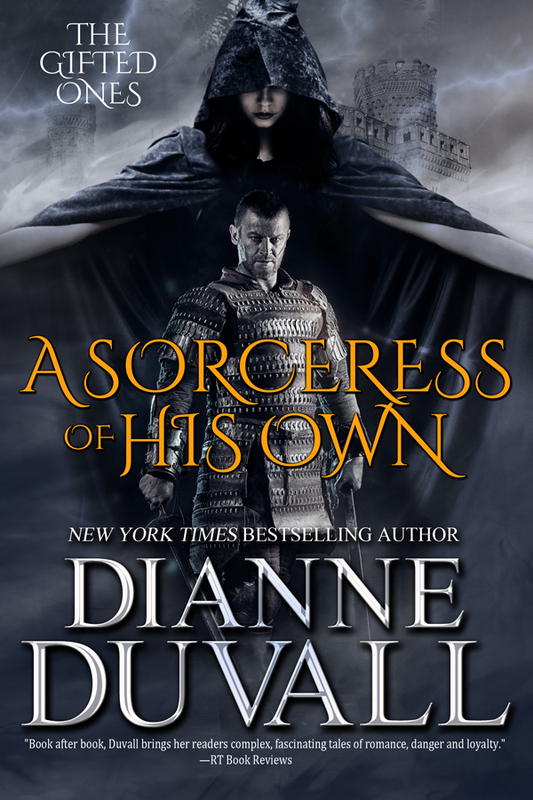 Blessed—or cursed—with gifts that label her a sorceress, she is forced to conceal her youth and the love she harbors for him beneath umbral robes that lead Dillon and his people to believe she is the same aged wisewoman who served his father. All is revealed, however, and passions flare when an enemy threatens Dillon's life and Alyssa sacrifices everything to save him. When Dillon discovers that the wisewoman is far from elderly, he is instantly entranced. And, as he and Alyssa work together to defeat an enemy bent on destroying them both, Dillon will risk anything—even the wrath of his king—to be with her. 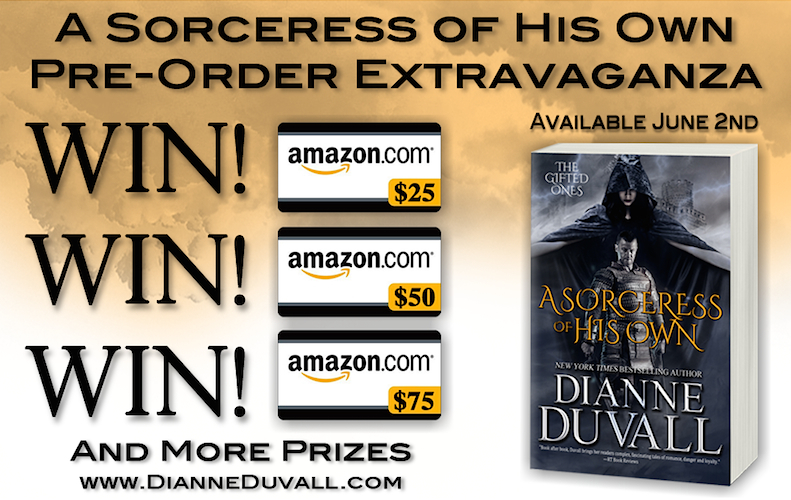 Pre-order (before June 2nd) and enter the Pre-Order Extravaganza! Every 1000 pre-orders that come in between now and June 2nd, the author will give away an Amazon Gift Card, each larger than the previous one. To enter, Fill Out This Form! Visit these other participating blogs! May 20 - I Smell Sheep , Jacklynn Love's Reading!!! This book looks great, thank you. I am so hooked on Dianne's Immortal Guardians series and am looking forward to getting hooked on this series too!